HOUSTON -- Houston probably isn't at the top of most golf destination lists. In fact, it may not even be on their lists, but it should be. Consider this: The Houston metropolitan area has more than 150 golf courses and a third of them are quality daily fee tests designed by some of the country's best architects. As a winter destination, Houston is a bargain. With a climate that's pretty much identical to Orlando, Fla., winter rates in the Houston area typically go down. In central Florida, they usually triple, even though Orlando is as susceptible to a blustery winter day as Houston is. 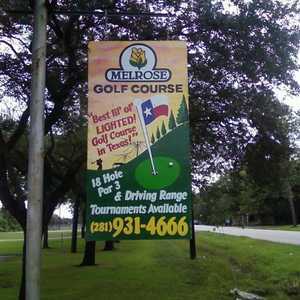 The Houston area also offers about as much variety in golf courses as any locale in the country. That's because the northern part of the city is situated on the southern end of the East Texas Piney Woods, while the southern part of the metro area extends into the Coastal Bend down to Galveston Island. On one end, it's tree-lined fairways; on the other, it's wind-blown, often links-style golf. Take your pick. Oh yeah, and if you're looking for something to do other than golf, Houston offers a legendary night club scene, literally four restaurants on every corner, and the beach just 40 minutes south of downtown. With two airports and an abundance of inexpensive hotels, it's an easy destination. 1. Redstone Golf Club: It may be a bit pricy, but getting a chance to play the new home of the Shell Houston Open (at least for the next two years before a new Rees Jones course yet-to-be constructed opens next door) might be worth it. Just 15 minutes from Houston's biggest airport, George Bush Intercontinental, a sneak preview costs between $145 and $160 (cart included with optional caddie for $40). Redstone couldn't be more different than the SHO's home of the past 17 years, the TPC at The Woodlands. PGA Tour veteran Peter Jacobsen who co-designed the course with Jim Hardy, says unlike many tour stops, this course really doesn't favor the power hitters, it calls all shots into the game, especially the short game. "I think it will be one of the top four or five favorite courses on tour," he says. (281) 454-6590. Northeast (Humble). As an added bonus, the course has undergone a number of capital improvements over the past couple of years, including new Tif Eagle greens, tee boxes and a greatly expanded clubhouse and golf shop. Tour 18 is still probably the most talked about Houston course around the country. It's a must-play for every visiting golfer. (281) 540-1818. Northeast (Humble). 3. TPC at The Woodlands: You've got be accurate off the tee and carry the ball forever at The TPC, which features plenty of forced carries off the tee and on approach shots. There are a few island greens, including the famed 13th, par-5, and more trees than you can count. In other words, it helps to be a tour player. And although it no longer hosts the Shell Houston Open, you can still compare your skills to those of former champions Curtis Strange, David Duval and Hal Sutton. The two par-4 finishing holes, where many an SHO has been won or lost, have long been considered among the toughest closing stretches on tour. Both require tour precision and a little luck. 4. BlackHorse Golf Club: Like Redstone, 36-hole BlackHorse is also a Hardy-Jacobsen design. More dirt was moved than at Redstone, though, with lots of mounding, bunkers and elevated greens. A favorite among Houston golfers, both courses make good use of lakes, wetlands and native trees. The wetlands are the centerpiece of the North Course while the South Course offers an authentic sand quarry to test skills on the closing holes. Six sets of tees provide a challenge for all levels, especially with the ever-present firm, fast greens. Former tour player and NCAA champion Marty Fleckman runs the BlackHorse Teaching Center, which offers group golf clinics, junior programs and private lessons. (281) 304-1747. Northwest. 5. Meadowbrook Farms: No surprise here, but Meadowbrook Farms sets up well for its designer, Greg Norman. It's also one of his most enjoyable, featuring generous fairways and lots of risk and reward situations, particularly on the 18th finishing hole, a par-5 that long hitters can reach. But make a mistake and it could double bogey or worse with plenty of natural meadows to grab a less than well-struck shot. Norman made good use of a spattering of forest at the start of the layout to create tree-lined fairways, which eventually gives way to more of a wetlands layout. If you like to hit driver, this is your course. (281) 693-4653. West (Katy). 6. The Tradition at Cypresswood: Perennial home of Stage 2 Qualifying for the PGA Tour, Cypresswood plays as hard as you want, but it's also secluded and scenic. This Keith Foster gem is part of arguably Houston's best overall public facility that includes two more courses - the Cypress and Creek - as well as the Cypresswood School of Golf (on the Tradition range) run by two-time Southern Texas PGA Teacher of the Year Kevin Kirk. 7. Memorial Park: Home to the Houston Open from 1951 to 1963, Houston's best municipal course was a victim of neglect until the city closed the course for a year in 1995 and spent $3 million to renovate it. Now, you have to use the redial on your phone to get a weekend tee time at Memorial Park (call before 8 a.m. on Thursday), located in the heart of the city inside the Loop. The original nine holes with sand greens opened in 1923, but a year later legendary architect John Bredemus turned it into an 18-hole masterpiece he called his "greatest golf course ever." There was even a movement last year to move the tour event back to Memorial but opposition from civic groups who didn't want the rest of the park infringed upon proved one too many obstacle to bring the event back. (713) 862-4033. Central. 8. Wildcat: One of the most unique golf settings you'll find anywhere, 36-hole Wildcat was built on a landfill that covers a former oil field (Wayward shots can find a pump jack on a couple of holes). Located just south of Loop 610, the course has a spectacular backdrop of the famed Galleria, Reliant Stadium and the Astrodome, the Medical Center area and downtown. Designed by Florida architect Roy Case, the original Highlands Course (opened in 2001) is Scottish links with lots of elevation change, heather and flat greens, while the newer Lakes Course is built around, you guessed it, several lakes. Both feature a few blind shots, and even though the Highlands may appear tougher, it's easier than it looks. That's because the landing areas are generous and there's almost always a good opportunity to recover when missing a green. Bottom line, Wildcat is fun. (713) 413-3400. South. 9. 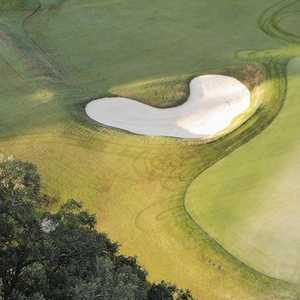 Magnolia Creek Golf Links: Featuring three nines - England, Scotland and Ireland, this is another example of Houston diversity of golf http://www.magnoliacreekgolf.com/. 10. Cypress Lakes: This may be a surprise, but this unheralded Jim Fazio design is one of the better kept secrets in the Houston area. You'll have a hard time finding better Bermuda greens anywhere, and you get a nice mixture of water hazards from the course's eight lakes, deep bunkering over links-style holes mixed with tree-lined fairways. It's definitely a strong test when the wind's up - which is almost always. (281) 304-8515. Northwest. (Cypress). Best of the Rest: With apologies to the following courses, well worth playing if you have the time: Gleannloch Farms, Fish Creek, Houston National, Longwood, WindRose, High Meadow Ranch, Timber Creek, Battleground at Deer Park, River Ridge, Red Wolf Run, Greatwood, Lake Windcrest, Augusta Pines, Cinco Ranch and Hermann Park. Getting there: Two main airports serve Houston. George Bush Intercontinental on the north side is a major hub for Continental Airlines, but handles plenty of flights from most every carrier. Smaller and convenient Hobby Airport, on the south side of town and 10 minutes from downtown, is serviced by Southwest Airlines with easy connections to Dallas, New Orleans, Austin and San Antonio. By car, Houston is accessible from Interstate 10 to the east and west and I-45 from the north.